Leadership expert John C. Maxwell, in his book The 21 Irrefutable Laws of Leadership, outlines a simple yet profound concept: “who you are is who you attract.” You might not have noticed this before, but chances are the people you hire all have something in common—they share similarities with you. Maxwell’s Law of Magnetism states that consciously or not, we tend to attract people who share at least a few of our core characteristics. This can be a strength for your business if you know how to wield it wisely. 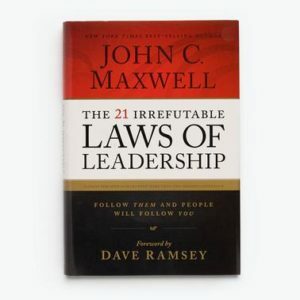 In his chapter on the Law of Magnetism, John Maxwell makes an important but not always obvious point: that your employees more than likely have a lot in common with you. People tend to gravitate toward others who are similar. You might notice this in your friend groups, and it’s true of employees as well. On the surface, it might seem as though your employees are all wildly different. Maxwell acknowledges this, as everyone is an individual and no two people are exactly alike. However, he names a few key areas that people tend to focus on: age, attitude, background, values, energy, giftedness, and leadership ability. Think about the people who work for you. Are they all around the same age? Are they from the same place? Do they feel similarly about your core values? Chances are, according to Maxwell, you’ll overlap in at least a few of these major areas. So if you have a few things in common with your employees, what does that mean for your business? Two things. First, if you’re attracting mediocre talent, you need to take a good look in the mirror. As Maxwell says, “The better leader you are, the better leaders you will attract.” If you’re not happy with the people you’re attracting, you need to focus on your own development. One way to do this, as Maxwell suggests, is to find a mentor who embodies the leadership style you’d like to emulate. If you surround yourself with strong leaders, you can learn from their example. The other side of the coin is that if you’re happy with the employees you attract, you might want to actively attempt to diversify. Chances are you have a weak spot or a gap in your knowledge base that only someone with a different viewpoint could fill. If you can’t decide where on the spectrum you fall, that’s okay. Start by making a list of criteria you value in an employee: things like hardworking, loyal, strong leader, etc. Next, Maxwell suggests taking an honest look at the list. Do you embody most of these characteristics yourself? If not, you have some work to do before you’ll attract that type of talent. It’s hard to become aware of the image you project, but once you know how to master the Law of Magnetism, you’ll never have to worry about hiring qualified talent again. If you’d like to hear more about the Law of Magnetism and how it can help grow your business, fill out my contact form and let’s talk.